﻿ South Jersey Custom Home Builders - Daniel Gregory, Inc. 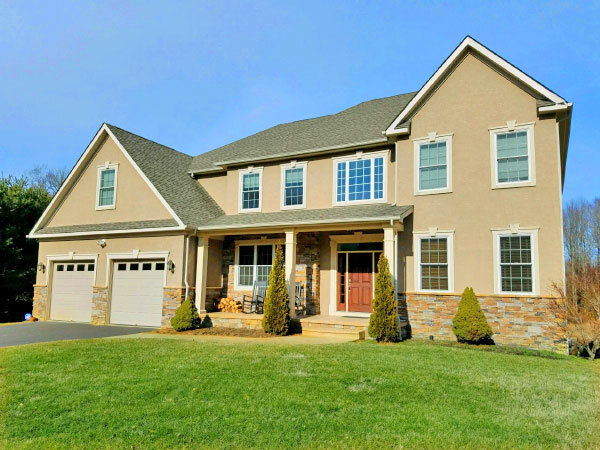 If you're searching for a Custom Home Builder in South Jersey, look no further than Daniel Gregory, Inc. We serve Gloucester County NJ and surrounding South Jersey areas, including Salem, Burlington and Camden County, NJ. We are fully insured and licensed in New Jersey, and we have been building custom homes since 1985. Why Choose Daniel Gregory, Inc. as your South Jersey Custom Home Builder? We believe that choosing the right South Jersey custom home builder is the most important aspect of your new home buying decision. From the careful selection of materials to the quality of construction, your builder's depth of experience and attention to detail will reflect the lasting quality of your home. "We build homes that reflect the unique individuality of their owners and whose uncompromising quality ensures an enduring value for generations." This unwavering commitment to excellence is among the many qualities that distinguishes Daniel Gregory, Inc. from other South Jersey custom home builders, and resulted in Ziegenfuss' receiving a Builder of the Year Award from the New Jersey Builders Association (NJBA), being inducted into the Builders Hall of Fame from the Builders League of South Jersey (BLSJ), and receiving numerous MAME awards from the BLSJ for our remodeling projects. With over 50 years of experience, Winfield Ziegenfuss, Jr. is attuned to your unique needs. Daniel Gregory, Inc. partners with you throughout the entire home building process, from development of your architectural plans to the day you move in. We look forward to working closely with you to create the home of your dreams. Call Daniel Gregory, Inc. at 856-371-1862 for all your South Jersey (Gloucester, Salem, Camden and Burlington County NJ areas) Custom Home Building needs.